← Storms continue to brew….. Some of you may have read my post yesterday about the storms headed our way. Little did I know that just a couple of hours after that, I would be watching live television footage of a one to two-mile wide tornado, destroying everything in its path. The path where I used to live. The path where we have many friends and family. It is hard to describe the feeling in your gut while observing the tornado and knowing that it is nearing your parent’s home. I had just talked to them a couple of hours before. They were very weather aware. They had a plan. I resisted calling them knowing what was happening. But finally I couldn’t stand the waiting and I called. Dad answered…..what a relief. His next words were, “We’ve been hit”. So yes, their house was hit, but not flattened. I talked to both of them and they are good. They have damage, no power and now, no phone, but they are so fortunate. Will let you know more as I learn more. Thanks to so many of you who have contacted me. Moore, Oklahoma is destroyed and devastated. Other areas were hit as well. There have been many fatalities. Oklahoma is strong. Oklahoma is tough. Oklahoma is thankful for the many friends who jump in immediately to help. (So much so….my own kids were turned away last night from getting through to my parents.) Please keep these folks, the rescuers and the many recovery workers in your thoughts and prayers. This entry was posted in Family, Friends, Friendships, Oklahoma, Reflections, Relationships, spring, Uncategorized and tagged moore oklahoma, my parents, oklahoma tornadoes, Pray for Oklahoma, tornado damage. Bookmark the permalink. So glad your folks are safe, Paula! Thank you for your update. I’m glad that your parents are safe. May all your loved ones be safe. And may all who are trapped, hurt, or in harms way, be rescued, healed, and safe. My heart goes out to all that have been affected. I can’t imagine the impact this tornado has had one everyone involved. Wish I could help! I know….I cannot wait to get there and help! It’s unreal. I watch the coverage but I cannot imagine what it’s like. I’m in tornado alley, too, but have been blessed to never have experienced anything like that. I’m so thankful your folks are okay, that must have been so frightening for them. We are so blessed that they are okay. You stay safe! Glad to hear everyone is safe – The news here is filled with Convoy of Hope trucks headed that way. People are so amazing. Everyone is willing to help! So true – I have seen evidence of the chain saw fairy everywhere here. Thanks for the update Paula! We are keeping everyone in our prayers through this tragedy. I can only imagine how badly you want to get to your folks and just hug them!! Soon!! Oh this seems so devastatingly horrible.. I thank the Good Lord for the safety of your folks and for that matter you as well.. This must be terrible to see and witness on TV knowing your parents are in its path… I stand in awe of you all being so brave about it… I’m not sure how I would react.. I know how I reacted when my house went under water with the floods, but wind I think is stronger than water.. My prayers are with you and your family, and for that matter all over there.. I heard the death toll on our radio news whilst travelling today and to be honest my hair stands on end just thinking about it.. I believe so many of them were children in a school (if I heard right)… so terribly sad.. May God be with you all over there in the path of these monsters ..
Yes…..several schools were hit. The children were kept there as it was better than to send them out on school busses. What do you do? Heartbreaking. Cannot wait to get there and help. Happy you’re safe! God bless the families and the children! Oh, Lord help–so much loss in this fractured world. I remember how upset and vulnerable I felt as I watched Sandy devastate my home town in NJ, on CNN. It was a feeling I wouldn’t wish on anyone. You are all in my thoughts and prayers. God Bless. I am so glad to hear your own parents are safe. So sorry to hear of all the destruction in Oklahoma. I can’t even comprehend any of this! We had bad storms here in Southern Ontario today with a terrible green sky, crazy winds, large hail and torrential rain, and as I stood in a crowd of people in Walmart watching the sky outside, I’m sure that everyone was thinking of Oklahoma and the devastation there. I know how frightening it was for us today but it was absolutely nothing compared to what the people of Moore have endured. I can’t even begin to understand what they went through, but I do know that I am so very glad that your parents are safe :). Thanks! It always warms my heart how much people come together in situations like that. I’m glad your parents have such great neighbours. Glad to hear they are safe. Hopefully things stay that way. It’s gonna be a long road back…. They say you can’t pick the face you’re born with but you pick the face you grow old with. 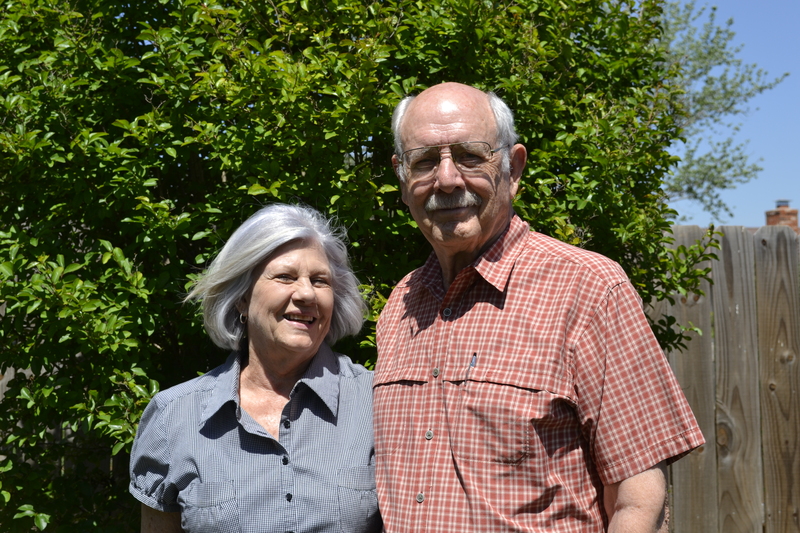 Your parents have kind faces marked by joy and positivity. You look like your mom! 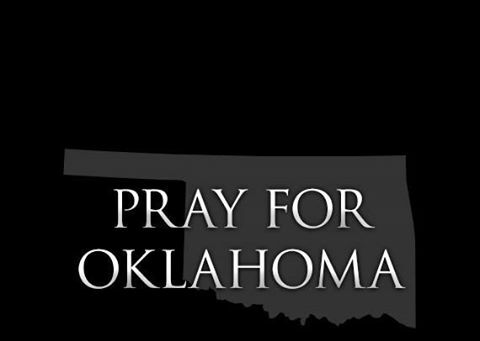 My thoughts and continued prayers are with the good folks in OK. I’ve been watching on the news and my heart goes out to them. How frightening. So glad you were able to get through to them and learn they were safe. The devastation is one block from my house. It’s horrific. We were very lucky. We were just spared. It’s a nightmare down here. What is being shown on TV doesn’t even begin to show what is going on down here. I am so happy to hear your parents are well. My thoughts and prayers are with all of you. I’m glad to hear they’re safe… as always, you’re in my thoughts and as I said, if there’s anything I can do, please let me know… be safe. Thank you R! Appreciate you more than you can know. We would absolutely love this! Look forward to it!